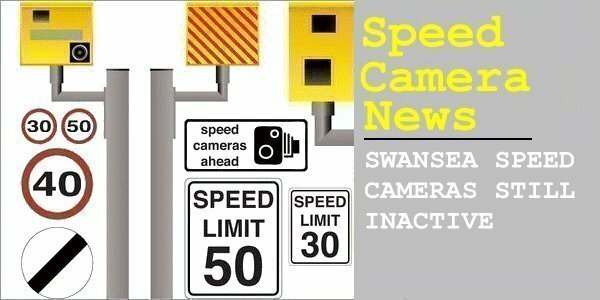 The new speed cameras erected in Swansea last June are still not operating. They are intended to monitor both directions on Carmarthen Road, a major city route. GoSafe have confirmed the devices are inactive, but say they are currently going through various stages of testing whilst drivers get used to them. A GoSafe spokesman said: "There are several stages undertaken before a new camera site becomes active, from installation, communications activity, to testing the cameras once they have been installed. We hope this period will allow the public to get used to the presence of the cameras and for the small minority of people who choose to speed, they will have the opportunity to adjust their behaviour prior to enforcement commencing." He added: "Safety cameras are there to deter people from speeding, not to catch them." The minimum penalty for speeding is a £100 fine and 3 penalty points added to your licence unless you are given the option to attend a speed awareness course. You could be disqualified from driving if you build up 12 or more penalty points within a period of 3 years.